Some employee generations speak a different language than their predecessors when it comes to appreciation and recognition. Learn how to appropriately recognize and reward the current and emerging workforce in this informative program. WOW! 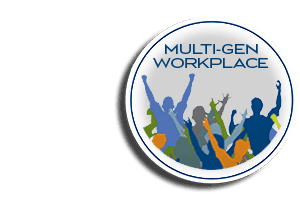 Your Multi-Generational Workforce is a fast-paced, fun, and informative webinar that equips HR professionals and business leaders with an understanding of how to engage Generation Z, Millennial, Generation X and Baby Boomer employees through effective recognition. Attendees will learn how the preferences, expectations and communication styles of these multi-generation employees factor into the design of an effective recognition strategy that connects with all employees (no matter their age) on a deeper level.